Back in March of 2016 it was reported that Jonah Hill was going to direct his first film titled Mid90s. The movie is set to premiere in September at the Toronto International Film Festival and will open everywhere in October. While that news is exciting enough on its own, it has now been officially announced that Trent Reznor and Atticus Ross scored the film. The duo last worked on Ken Burns' documentary series The Vietnam War in 2017, along with various other projects, and have been hard at work slowly releasing new Nine Inch Nails material throughout the last year-and-a-half. 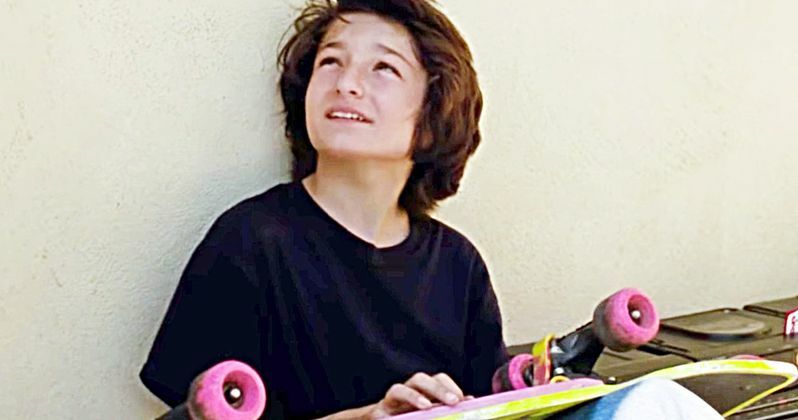 Mid90s follows Stevie, a thirteen-year old in 90s era LA, who spends his summer getting away from his troubled home life, escaping an abusive older brother. Stevie finds a group of new friends that he meets at a Motor Avenue skate shop. The film stars Sunny Suljic, Lucas Hedges, Na-kel Smith, Gio Galicia, Ryder McLaughlin, Alexa Demie, Katherine Waterston, and Olan Prenatt. Jonah Hill wrote and directed the movie, but does not appear in the project. Hill will show up next in the Netflix series Maniac, starring alongside Emma Stone. Trent Reznor and Atticus Ross have been pretty busy over the last two years, scoring feature films as well as documentaries while still finding time to write new music and tour as Nine Inch Nails. The two composers won an Academy Award for their work on David Fincher's The Social Network and have continued to bring their unique and haunting music to new areas. Jonah Hill's Mid90s is a comedy-drama, which is a different tone for the musicians. Trent Reznor first got into working on movies with Oliver Stone's Natural Born Killers. Reznor produced the project and made sound collages with a portable Pro Tools recording rig while on tour with Nine Inch Nails in 1994. He then produced the soundtrack for David Lynch's Lost Highway in 1997 and contributed to the score. Reznor collaborated with Atticus Ross on David Fincher's The Social Network in 2010, which is when the duo started to really forge their own unique sound and vision. Trent Reznor and Atticus Ross worked with David Fincher again for 2011's American version of The Girl with the Dragon Tattoo. However, the two musicians came up with a different plan for the score, which had them making the music while the movie was being filmed. They then gave Fincher finished music to edit to. It proved to be more difficult, but again, the result was heavily praised. Reznor and Ross teamed up with Fincher again for Gone Girl and went about the process in an entirely new way. Fincher asked the duo to come up with music that was able to convey that things on the screen weren't exactly how they appeared to be, a task that Ross and Reznor found challenging. And now, we'll get to hear some more of the score work of Trent Reznor and Atticus Ross in October when Jonah Hill's Mid90s hits theaters. You can view the trailer for Mid90s below, provided by the A24 YouTube channel.